The A.E. 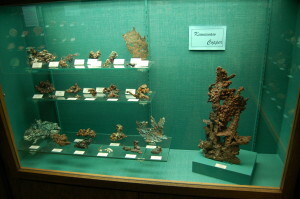 Seaman Mineral Museum in Houghton, Michigan is the state’s official mineral museum, a cooperating site of the Keweenaw National Historic Park, home to a Guinness World Record piece of copper, and home to one of the best collections of Great Lakes minerals. Its small admission fee ($6 adults/$5 senior/$3 student/$1 junior) that is good for two full days also makes it one of the best values in the Upper Peninsula. 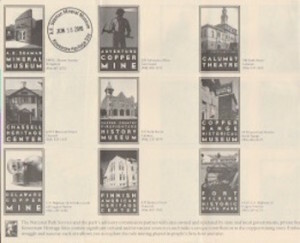 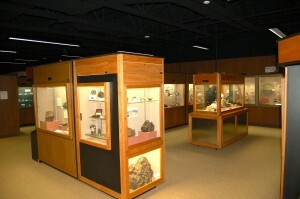 The museum is located on the campus of Michigan Technological University, and you can find out more about hours of operation and see galleries of the collection at http://www.museum.mtu.edu/. Inside the museum, exhibits showcase minerals from all over the world. 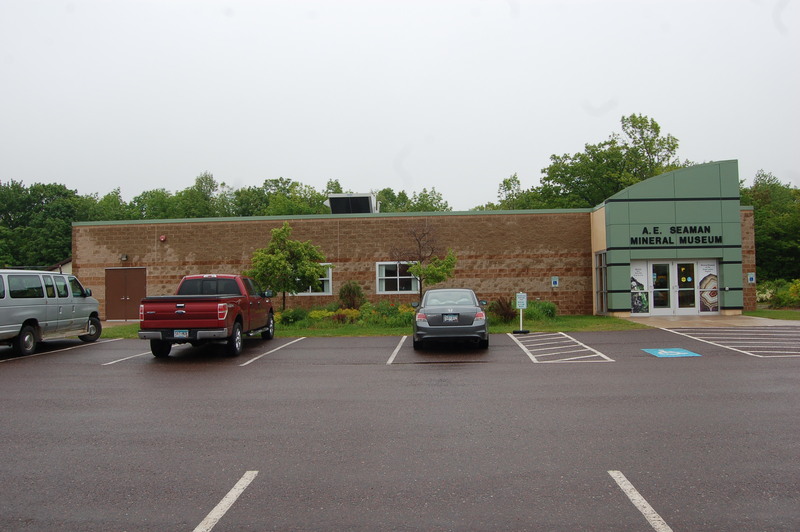 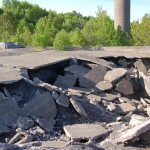 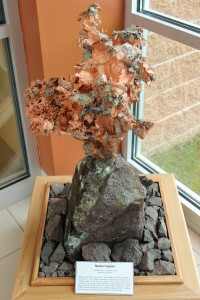 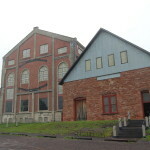 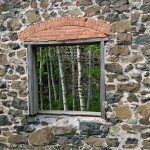 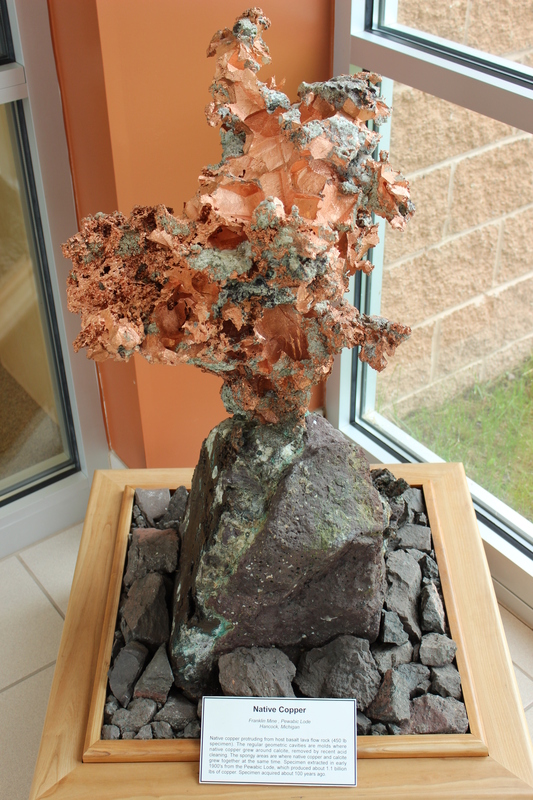 Given the museum’s location and the enormous influence copper mining had on the surrounding area, it is not surprising to see many cases dedicated to Keweenaw copper and other local specimens. 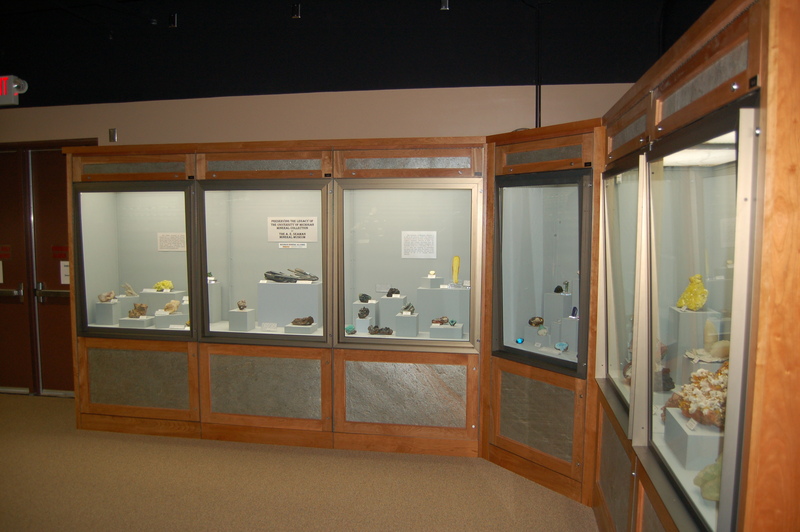 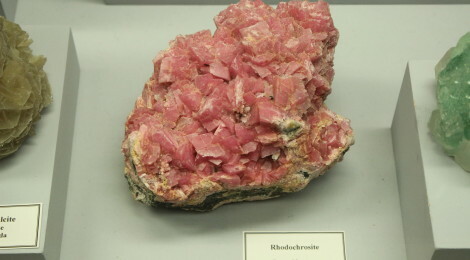 Among the highlights are an exhibit of fluorescent minerals, displays of crystals, Great Lakes mineral displays (including Petoskey stones), a Lake Superior Iron District display, and specimens from all over the world and all over the United States. In addition to the museum’s collection, this is also home to the University of Michigan’s mineral collection. That collection includes pieces from Douglass Houghton’s personal collection. 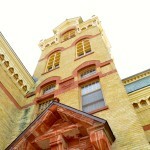 Houghton was the first state geologist and one of the earliest professors at the University of Michigan. You’ll find tributes to Houghton in the names of the city and county the museum is located in as well as a nearby waterfall and a lake in the Lower Peninsula. 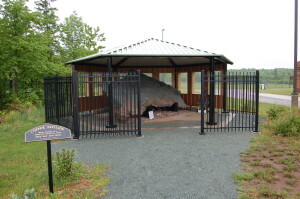 Houghton died in 1845 when the boat he was in while working on a geological survey of Lake Superior capsized; a monument to him can be found in Eagle River.